Paul Walker in Fast and Furious 6. All I can say is that my family has had a lot of issues going on, and--as can be expected--my health has not been good. I am sorry I haven't posted, I am always composing in my mind, but getting the time to just sit down and get the typing done never works out. I am sorry. Here is a bit of news round up. As we all sadly know, Paul Walker, one of the beloved and leading characters of the Fast and Furious franchise, has passed away, leaving a huge whole in the series, including the last film that was incomplete. It has been announced that the original release date for Fast and Furious 7 will be moved from July 2014 to April 2015; Brian O'Connor will be retired, so additional scenes have been written and shot to give "Walker a proper sendoff" the studio hopes will please fans. If digital/computer-generated imagery is going to be a big part of this, along with/in addition to a brother standing in, word hasn't been confirmed through reliable sources, only rumored. The silence of the studio regarding this matter is to be expected, as they have limited resources at this point, and wanting to both honor Walker and make a good film, if they publicize what they intend to do too much, it's going to draw criticism that will tie their hands in being able to complete the film. There is a credible rumor going on that The Rock Dwayne Johnson might be appearing as Green Lantern in the upcoming Man Of Steel 2; why would this be important? Lee Daniels, director of The Butler, is supposedly launching a super-hero film with two lead males--one white, played by Alex Pettyfur, and one black, not yet casted--who end up being gay lovers. Now, Warner Brothers films has put Christopher Nolan (Inception, Interstellar) in charge of all DC comic films (the rival comics to Marvel that produces Iron Man, Captain America and Thor) so nothing can happen without Nolan's approval; can you think of any man in Hollywood more manly than Dwayne Johnson? IF this rumor pans out, and Johnson will appear as Green Lantern, that will be a HUGE boost to the masculinity of action heroes and that's exactly what is needed, but it will also add an additional sub-text to this film of which we will have to be aware. 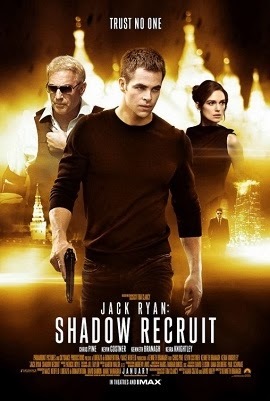 Coming out in January is Chris Pine's (Star Trek Into Darkness, This Means War) newest, Jack Ryan: Shadow Recruit. The plot line goes: While working as a junior analyst for the CIA's covert intelligence office, Jack Ryan inadvertently uncovers evidence of an imminent terrorist attack. With no intelligence to verify his discovery, Ryan is promoted to field agent and sent to Moscow to continue his investigation, where he soon encounters Viktor Cherevin, an enigmatic businessman at the center of a plot to cripple the global economy. As Ryan learns to navigate the world of intelligence, fend off assassins and address the potential breakdown of his marriage, he comes to the realization that it may already be too late to stop Cherevin from ushering in an economic catastrophe of unprecedented scale. There is a bloody fight with the assassin in the bathroom; what other secret agent do we know of who starts out his espionage career in a bloody bathroom fight? James Bond (Daniel Craig) in Casino Royale, the very beginning of the film. Why? The bathroom is the place where we clean ourselves, and Jack is actually "cleaning" himself by going into the bathroom to allude the assassin, just as Bond has to cleanse himself of all his "dirt" before he can rid the world of dirty criminals. In other words, we know we can take Jack Ryan seriously because he knows he isn't perfect (he has his own problems) but he also knows he has to drown those faults of his (the assassin) and turn away from the world (the beautiful, luxurious hotel room he has been offered) to save the world and himself. Now, perhaps it's just me, but M Gustave (Ralph Fiennes) reminds me of Dracula in Hotel Transylvania, the business owner who thought he owned everyone. As you and I know, socialists always reveal themselves even as they think they are taking apart capitalism. 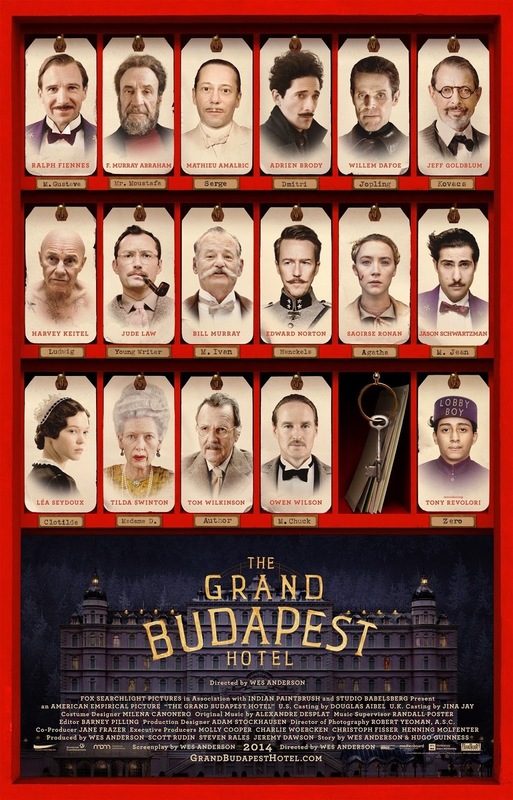 A real capitalist wouldn't look at Zero the Junior Lobby Boy (Tony Revolori) as a "zero" but as a human being with dignity and a future; socialists "take stock" of what a person is and isn't in measurable terms (education, class, DNA, ethnic background); consider, for example, that billing for the actors in The Grand Budapest Hotel put Zero towards the bottom underneath all the white "A" list actors (whereas they could have put Mr. Revolori towards the top given how much he appears to be in the film) rather like the poster controversy of 12 Years A Slave which highlighted the white actors Brad Pitt and Michael Fassbender, while reducing the main character Solomon Northup (Chiwetel Ejiofor) to a miniature. Let's consider two aesthetic aspects of this film: first, Anderson's color scheme, and secondly, the situation of the hotel. 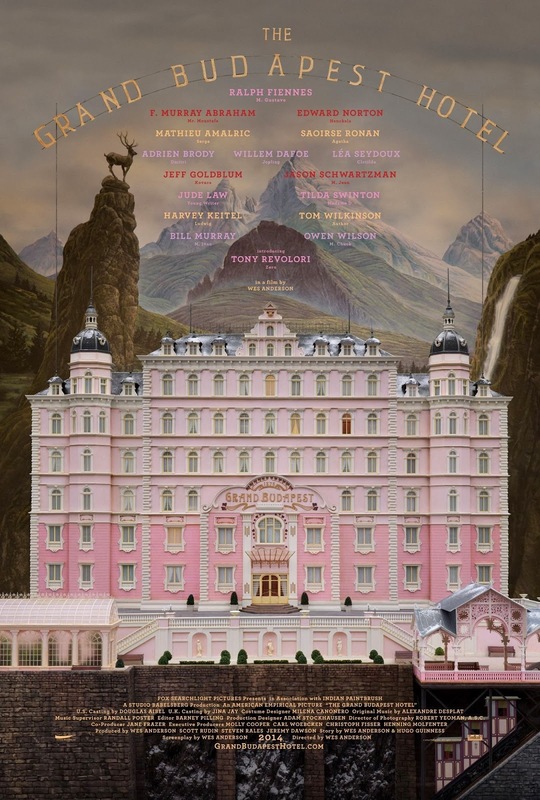 First, Anderson's use of color--a big pink hotel, for example--conveys to us both the gaudy and the make-believe. In a film such as The Conjuring, possessions--as in material objects--are demonized so people will break their consumer habits; Anderson, on the other hand, makes them look gaudy so there is nothing which might appeal to our sense of "wanting" and "ownership." Anderson is a fabulous film maker, and if I may venture, his greatest strength for telling stories lies in how human and vulnerable he creates his characters; against such a color palette emphasizing a non-realistic world, however, any bit of humanity is going to seem even more real against the gaudy, which brings us to the issue of the hotel. A house symbolizes the soul, because the body "houses" the soul the way a home houses the body, so a hotel is like a temporary soul, a place of transit, being in-between identities, so to speak, which is accentuated by the story taking place in the "inter-war period" (between World War I and World War II in Europe). In this way, the hotel acts as a metaphor for the American soul--because we are in-between capitalism and socialism--as well as re-writing world history (by placing the story before WWII and the German socialist party, aka, the Nazis, Anderson is re-writing history). Another valid question for us to ask is, Given Mr. Anderson's long list of recurring collaborators with whom he chooses to work, why give a lead role to Mr. Ralph Fiennes, with whom he has never worked before? I think the answer lies in Skyfall. Fiennes portrays Gareth Mallory, who replaces M (Judi Dench) as the head of MI6; so in the Bond 24 film, when we see Fiennes as M, M. Gustave (Anderson's official name for him) will undermine the dramatic, masculine role we see in the Bond films, and we will think of him as more of a bungling, vain and weak character, which might poison the entire Bond film. Hopefully, not, but possibly, yes. So, comparing Jack Ryan: Shadow Recruit to The Grand Budapest Hotel, we see how Jack Ryan could symbolize the very drive of economic forces socialists, like director Wes Anderson, are trying to destroy (this is probably similar to what we will see in the film adaptation for Fifty Shades of Gray, where a billionaire business owner perversely seduces one of the young women working in his office). What is the purpose of films such as this? Brainwashing. To repeat over and over and over again that business is bad and therefore, to solve all of society's ills, just get rid of business and business owners--who are going to screw you--and go with socialism! I understand there are many people who think I am obsessed with socialism and I see it lurking around every corner: but please recall the simple fact that I don't make these films, and I can't control, in anyway, what is or is not put into them. 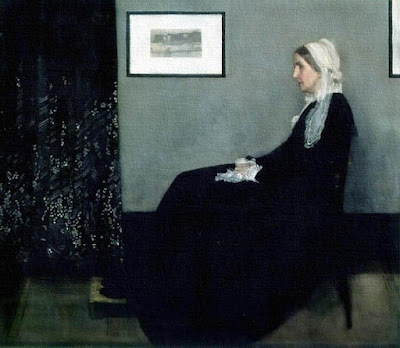 I can only comment upon what is all ready there, and the evident divisions in today's America are merely being reflected in our art.